Welcome to our guide to the blu PLUS+™ Charge Kit. On this page, you’ll find everything you need to understand and get the most out of your device. Your blu PLUS+™ is shipped to you with a partial charge but we recommend that you charge it fully before use by plugging it into a power socket for 30 minutes. To get started, all you’ll need is your fully charged blu PLUS+™ and your favourite blu PLUS+™ Cartridge. Your blu PLUS+™ Charge Kit can be used with any one of our pre-filled blu PLUS+™ Cartridges. Once your blu PLUS+™ is fully charged and the refill is screwed in, you’re ready to begin. How do I know when to charge my blu PLUS+™? When your blu PLUS+™ Battery starts to run out of charge, you will start to notice a few changes in the way your blu PLUS+™ is performing. This may include less vapour production and a less intense flavour. When you notice any of these things, this is a good time to prepare to recharge as your charge will soon be completely depleted. When your charge has depleted, the blu PLUS+™ will stop producing vapour. How do I charge my blu PLUS+™ Charge Kit? Put the blu PLUS+™ Battery into the blu PLUS+™ Charge Case in the space marked ‘Charge’. 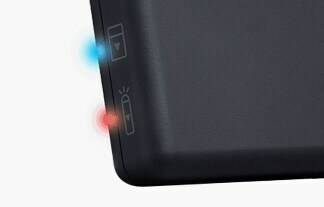 A red light will glow on the side of the case as the battery starts charging. Plug the USB cable into the port on the bottom of the blu PLUS+™ Charge Case. Plug the USB cable into a USB-compatible charging port. 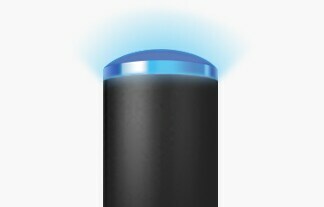 Once your blu PLUS+™ is fully charged, the red light on the case will stop glowing. *If the light does not glow when inserted into the USB charger, the charging contacts have not been properly aligned. Simply unplug your blu PLUS+™ Charge Kit from the charger and reconnect. The case can also be charged without the device inside. When the blue light on the side of the case flashes three times, this indicates that the case can charge your e-cigarette three more times before needing to be charged itself. If the battery on your blu PLUS+™ runs out, the case will charge it in 30 minutes. The blu PLUS+™ Charge Case can charge your batteries six times before needing to be charged itself, and can store three refills and two batteries. Unwrap the cartridge and remove the silicone cap. Screw the cartridge onto the device. Once you are ready to use your blu PLUS+™, take a drag from the mouthpiece. *blu PLUS+™ Cartridges are only compatible with the blu PLUS+™ device.